Xuefeng terminated his businesses in Zimbabwe gradually and began writing articles for Chanyuan Corpus and Xuefeng Corpus. These articles were first published on the Chinese websites, Boxun and Chinese Soul. 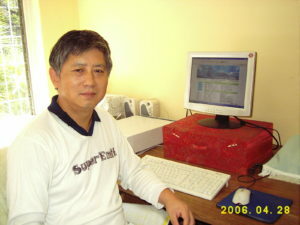 Between then and now, Xuefeng has written nearly three thousand (3,000) articles with nearly 6,000,000 Chinese words describing the construction of the Lifechanyuan Values system, including the profound truth of the universe, life, LIFE, time, space, consciousness, nonmaterial structure, and energy, as well as the way to create a new production and life mode for people and guidance articles to help Chanyuan celestials purify their soul gardens and sublimate their LIFE qualities on the self-cultivation way. 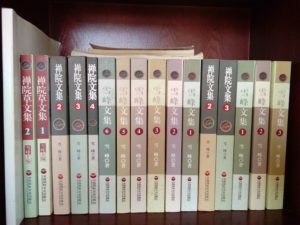 His Lifechanyuan Column articles on Boxun have reached 12,800,000 hits as of the end of 2017. Boxun is the most visited website for political commentary and social reporting among the ethnic Chinese population of North American. The first Chinese language Lifechanyuan website was successfully launched by Xuefeng and Lingzhi Celestial. Xuefeng and his wife returned to China and lived in Rizhao, Shandong Province, and Kunming, Yunnan Province. They, along with several other Chanyuan celestials, investigated some sites for establishing the Second Home community. At that time, there were around forty (40) Chanyuan celestials. Xuefeng led Chanyuan celestials to begin the economic construction of preparing to create a Second Home community in Harare, Zimbabwe. 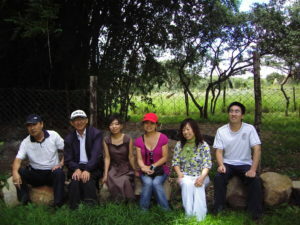 Five chanyuan celestials went to Zimbabwe to assist with the management and operation of the business. Eventually, the plan could not come to fruition because of the chaotic political and economic conditions in that country. Approximately fifteen hundred (1,500) interested people from Linzhou, Henan, and Shanxi provinces found the Lifechanyuan website after years of spontaneous group study offline and applied in groups to become Chanyuan celestials. Xuefeng and his wife, Ehuang celestial traveled from Zimbabwe, back to Taiyuan, Shanxi Province, China and met with about three hundred (300) Chanyuan celestials from throughout China. 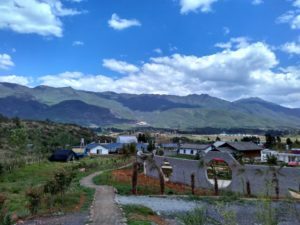 Lifechanyuan announced that they would establish the Second Home community formally, under the guidance of Lifechanyuan Values, located in Kunming, Yunnan China. Xuefeng and the first pioneer Chanyuan celestials came to a suburb of Kunming and rented an apartment building, which was the first site for the Second Home. At the same time they established the Xianyun Picture and Graphics company as the community’s business. Thirty-one (31) members were then living in the Second Home. Xuefeng led Chanyuan celestials to establish three branches in the suburbs of Anning, Chuxiong, and Lincang, all in Yunnan Province, China. At our peak, we had one hundred and eighty (180) members living in three branches, including eighteen (18) seniors and fourteen (14) children. The total area of the three branches was one hundred and forty-five (145) acres. 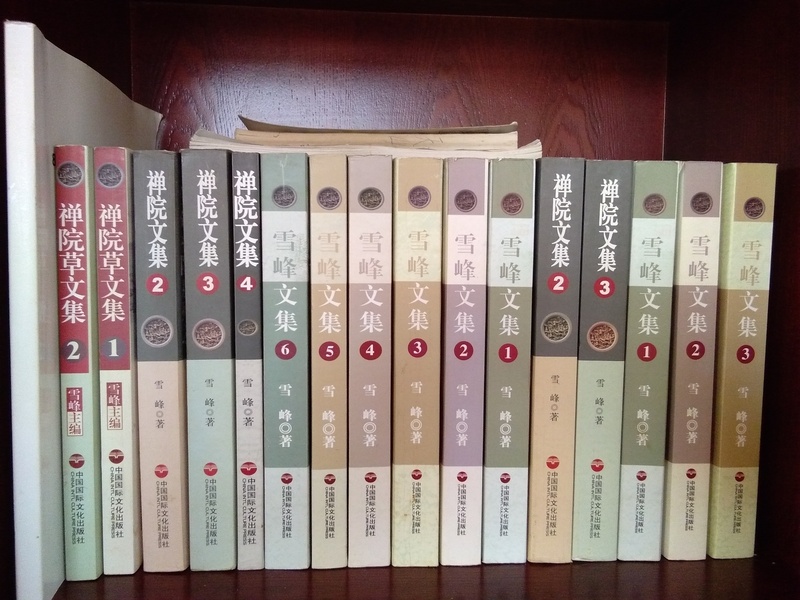 In 2010, Chanyuan Corpus, Xuefeng Corpus, and Chanyuan celestial Corpus were published formally through the Hong Kong International Culture Press with the first thousand sets of twelve books. The Third branch, located in Chuxiong, encountered a forced illegal disbandment by the local authorities. Forty (40) members were forced to withdraw and move into the First and Fourth branches. The First branch in Anning and the Fourth branch in Lincang encountered the same illegal forced disbandment by local authorities after the Third branch was forcibly closed. All members without exception were forced to leave the community. Except for the elderly members and children, most working-aged members went to work in cities under an arrangement supported by Chanyuan celestials living inside or outside of the community. Xuefeng sent pioneer celestials to investigate and rent farms in Xinjiang and Nanjing. We planned to continue our community in the form of ecological farms. Community materials and products were transported by large scale trucks from big logistics companies across a combined 30,000 kms across China. Xuefeng led around thirty (30) remaining Chanyuan celestials to establish Gesar farm and Kataier farm in Xinjiang Province in northwestern China, and Nanhua farm in Nanjing, Jiangsu Province in eastern China. Huge efforts were made by Chanyuan celestials under very difficult conditions to make this happen. Chanyuan celestials started passionate construction of Gesar farm, Kataier farm, and Nanhua farm. The original members who had been working in the cities came back to these three farms gradually, the total number reached around one hundred (100). Nanhua farm encountered a forced illegal disbandment by local authorities. 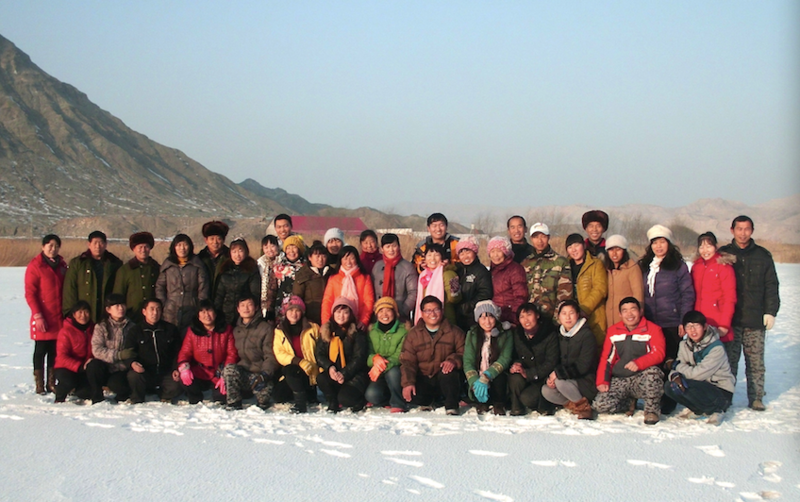 Twenty (20) members moved from eastern China to Xinjiang in northwestern China. The formalities of establishing a professional cooperative was ready. 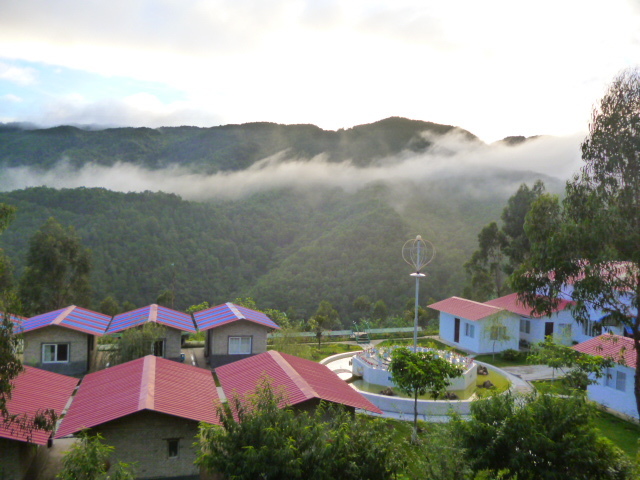 Gesar farm and Kataier farm were formally under the management of our newly established cooperative. Gesar farm and Kataier farm encountered forced illegal disbandment by local authorities in Xinjiang. All members were forced to leave in groups during the deep, cold winter season. Working-aged members went out again to work in the cities to support the community. Xuefeng opted to close our four external websites, both Chinese language ones and both English language ones. 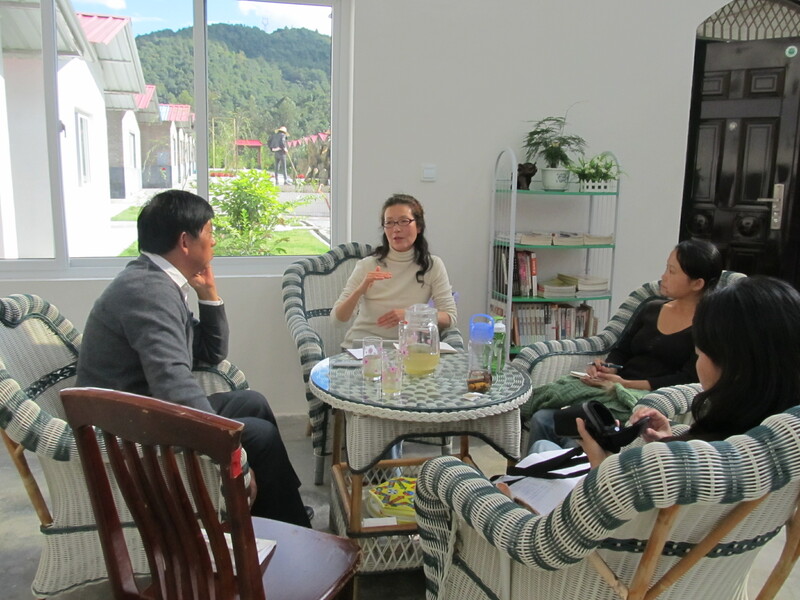 We established three ecovillages in Lijiang, Yunnan. 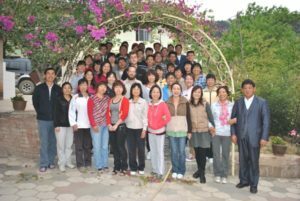 Xuefeng led community members there and established three branches, they were Yinyi Ecovillage, Sesame Slope Resort, and Farmer’s Hotel. Xuefeng and Chanyuan celestials planned to operate these three branches with local landlords on a somewhat commercial level, which could have gotten approval from local authorities and the Chinese government. During this period, members who scattered and were working in cities came back gradually. The total number reached ninety (90) members by the latter half of 2016. Yinyi Ecovillage, Farmer’s Hotel, and Sesame Slope Resort encountered forced illegal disbandment by Lijiang authorities. Members had to leave again and resume working in the cities. The English website of Lifechanyuan was reopened after the disbandment event. Xuefeng and several members went to Vanuatu and met Mr. Stephen, the founder of East Eden community, to explore the possibility of establishing a common community there. 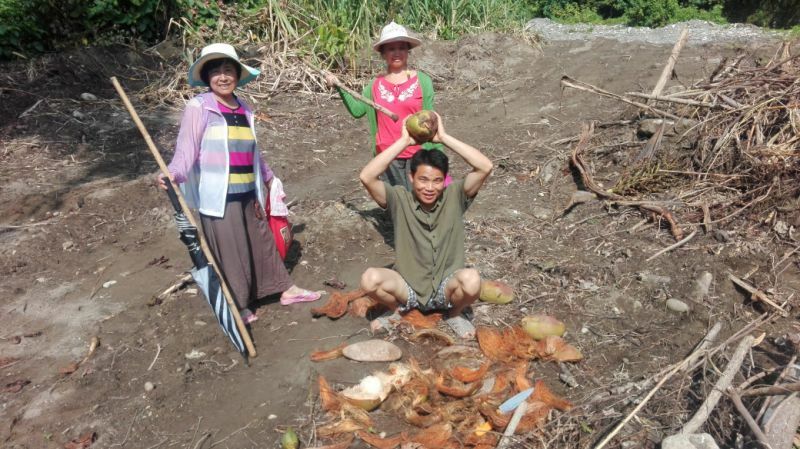 After comprehensive assessment and consideration, Xuefeng and the community members felt that Vanuatu was not adequate for establishing another new community, so they returned to China. The Second Home community (第二家园) changed its name to the New Oasis for Life community (生命绿洲). 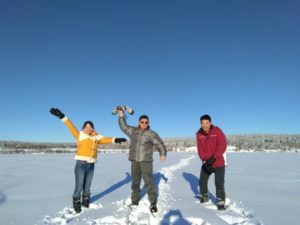 Xuefeng and Ehuang celestial went to Canada to explore the possibility of establishing a New Oasis for Life community there. Xuefeng began a fundraising drive among Chanyuan celestials and raised ¥3 million RMB; almost C$574 thousand from Chanyuan celestials’ donations, investments, and community savings. The community then bought ten acres of land with buildings near Lac La Hache, in the Cariboo region of British Columbia, Canada. The first two Chanyuan celestials went from China to Canada to assist with the initial work of establishing the New oasis for Life Canada Community. New Oasis for Life Canada was officially born. A website for the Lifechanyuan International Family Society was established. 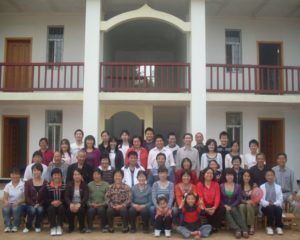 The Second Home community entertained visitors from fifteen (15) overseas countries. 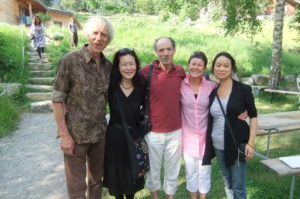 They included Ms. Michiyo Furuhashi, the GENOA president and representative of Konohana Family in Japan, Mr. Martin and his wife Qiuxue, Doctor of Philosophy inAnthropology from Germany, and Mr. Venketash, an Indian permaculture promoter and practitioner who became Kasen celestial during his time here, and many lovely friends from throughout the world. 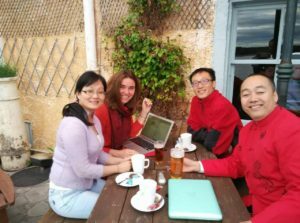 Conglong celestial attended a seminar at Tamera, Portugal as our representative, and during her one month stay there, exchanged fully with their members and established a good friendship and connection between our two communities. Conglong celestial attended the GEN Europe annual gathering at Schweibenalp community, Switzerland, and promoted the new life mode of the Second Home community. 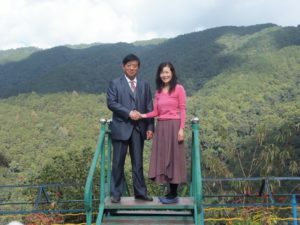 She established connections with some community representatives of GEN, GENOA president Michiyo, and representatives and project activists from around the world. 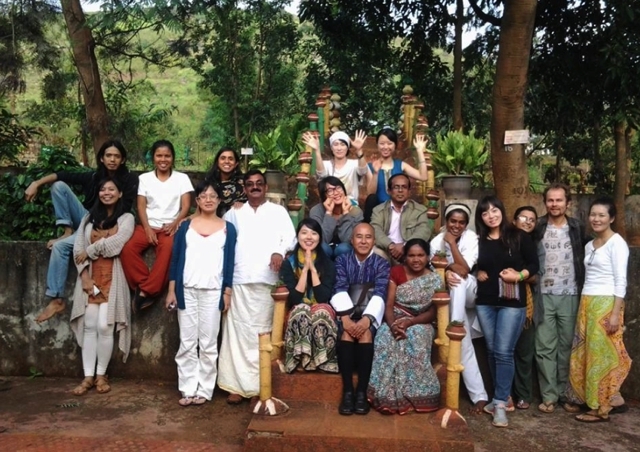 Ailian celestial visited Konohana Family, Japan as our community exchange member. 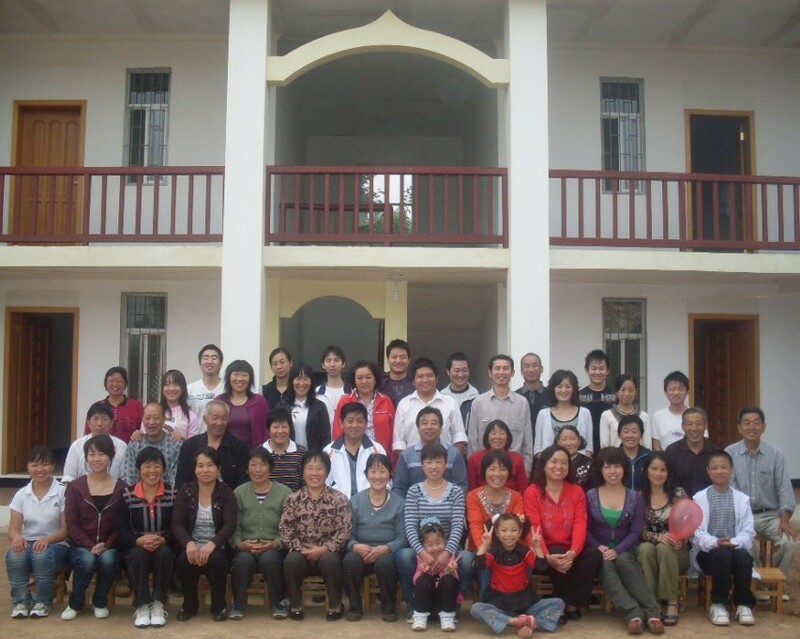 Living and working for fifty (50) days within that big family, she introduced the values and mode of the Second Home community to them and brought back from them, the precious experience of running a continually developing community for nineteen (19) years. 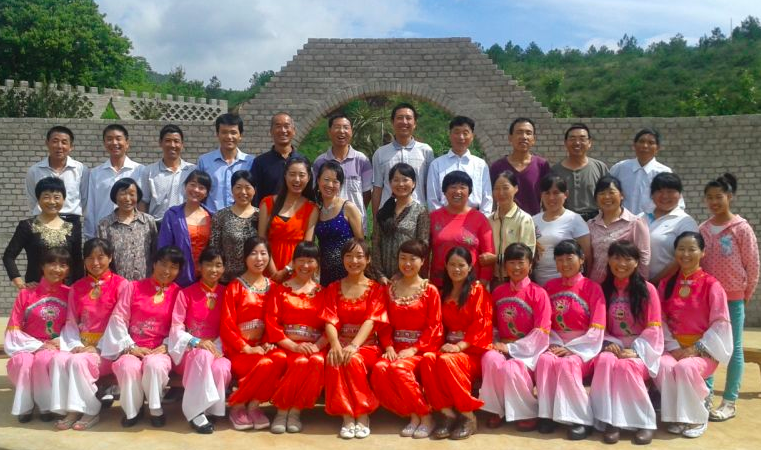 Tongxin celestial attended the annual gathering of GENOA (Global Ecovillage Network Oceania & Asia) in Malaysia. The Second Home became an official member of GENOA and established connections with representatives and members from different member communities of GENOA. 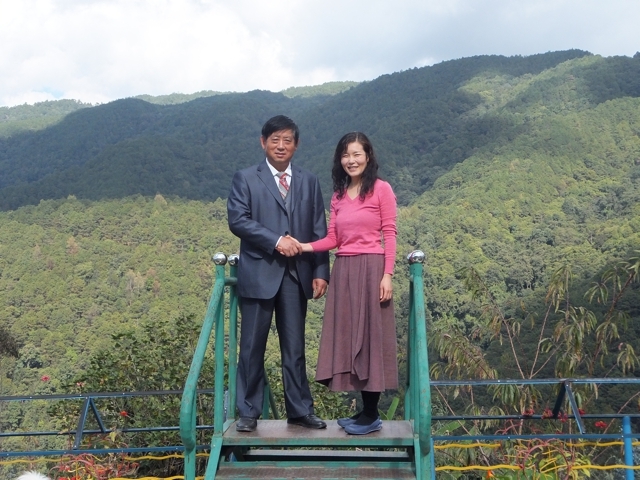 Michiyo Furuhashi visited the First and Fourth branches of the Second Home and stayed for three weeks, during which time she experienced our community life intimately and interacted thoroughly with founder Xuefeng as well as with other Chanyuan celestials. She became a member and was given the name, Lingqiao celestial, which means, “Bridge of Hope”. The Second Home and Konohana Family announced formally that they would unite as part of a big international family. 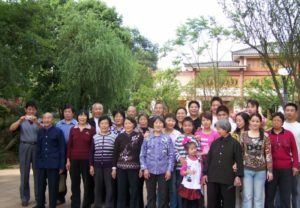 Since then, the Second Home of Lifechanyuan has been the Chinese branch of Konohana Family, and Konohana Family has been the fifth branch of the Second Home. 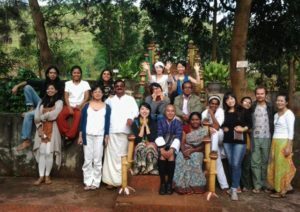 Tongxin celestial attended the annual meeting of GENOA 2014 in India, and investigated a local community there. She then continued on to meet Conglong celestial in Nepal where they explored opportunities of resettling outside of China during the crisis period when local authorities were harassing the Xinjiang farms. Tongxin celestial attended the GEN+20 summit at Findhorn, Scotland. She shared the story and growth process of the Second Home to the ecovillage friends at the summit. She also exchanged with GEN President Kosha, Senior Consultant Robin, and many friendly and active representatives from different communities throughout the world. 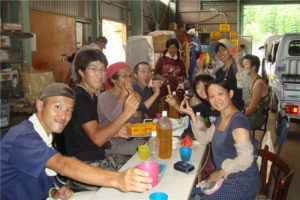 July, 2011: An Invitation to Global Communities for Alliance with the Second Home. March, 2013: Proposal for organizing and establishing a New Life community Alliance for Human being. 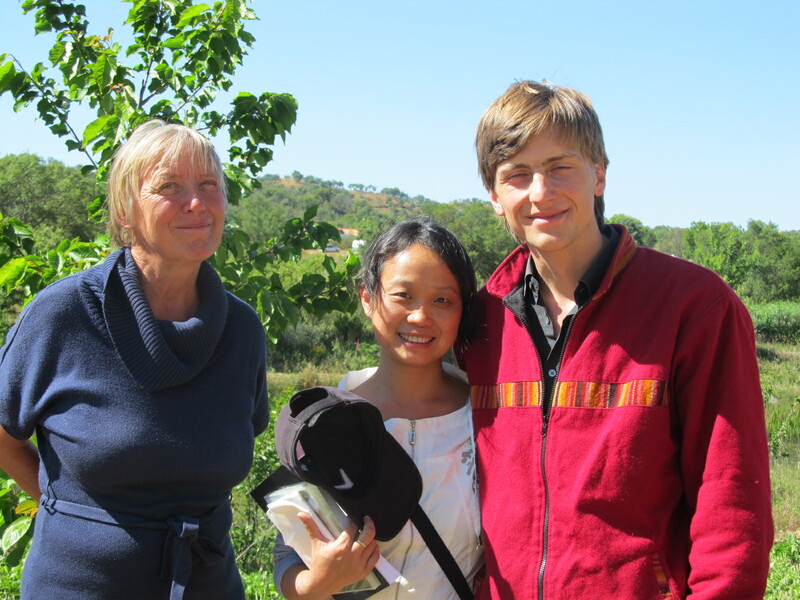 November, 2013: Call for all ecovillages around the world to unite as a big international family. May, 2014: A Letter to all earth citizens from the International Big Family. Because of the continuing strong pressure from the government, the Second Home community was forced to move through northwestern, eastern, and southwestern China, therefore this plan had to be suspended. After the New oasis for Life community bought land in Canada and established the New Oasis for Life Canada community from the huge devotion and energy concentrated from Chanyuan celestials, and successfully registered the Lifechanyuan International Family Society in British Columbia, Canada, this plan was able to be revisited and be put back into practice. After all that has happened and however difficult it has been, the original intention and ideal could not be killed; Lifechanyuan sincerely invites you to build this International Family with us!